SOME of the biggest names in racing are heading to Ayr for this year’s Coral Scottish Grand National Festival. Entries were published last week for the two feature races at the Festival - the £210,000 Coral Scottish Grand National and the £101,000 QTS Scottish Champion Hurdle, revealing a who’s who of horse racing. And it’s also certain that the battle to be Britain’s champion jumps trainer will be played out over the two days on Friday 15 April and Saturday 16 April, with the chief protagonists Paul Nicholls and Willie Mullins likely to have many runners. Mullins has six entries in both the Coral Scottish Grand National and QTS Scottish Champion Hurdle while Nicholls has seven and nine entries respectively. There are also horses from other leading stables including Nicky Henderson, Alan King, Philip Hobbs, Jonjo O’Neill and Kim Bailey ensuring quality horses will be on show. Indeed the highest rated entry in the £101,000 QTS Scottish Champion Hurdle is Nigel Twiston-Davies’s The New One, a hurdler that commands almost legendary status. The Coral Scottish Grand National entries include Grand National, Welsh Grand National and Irish Grand National holders in Many Clouds, Mountainous and Rogue Angel respectively. 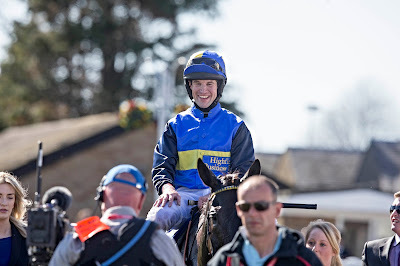 Kerry Lee’s Mountainous would boost the near £120,000 first prize by £100,000 if becoming the first horse to win the Coral Welsh Grand National and the Coral Scottish Grand National in the same season. The bonus has been put up by Coral in conjunction with Ayr and Chepstow racecourses. David Brown, Managing Director of Ayr Racecourse commented: “We are naturally delighted that trainers the length and breadth of Britain and Ireland have chosen to enter such high quality horses for our two flagship jumps races.